Did the Social Media Gurus get one wrong? Or, as it is, did they get a second one wrong? Could it be? It couldn't, could it? With the amount of Fatburger-tweets I've seen, I can only assume the problem must lie with me. I mean, it's not like the Social Media Rockstars get paid to tweet about these things, right? Surely Twitter's Gurus and Rock Stars would disclose if that was the case? They are, after all, what the New York Times is to a tabloid rag. A beacon of professionalism and integrity. And their enthusiasm… Oh, their enthusiasm. It is what drives them, this enthusiasm for everything they love. 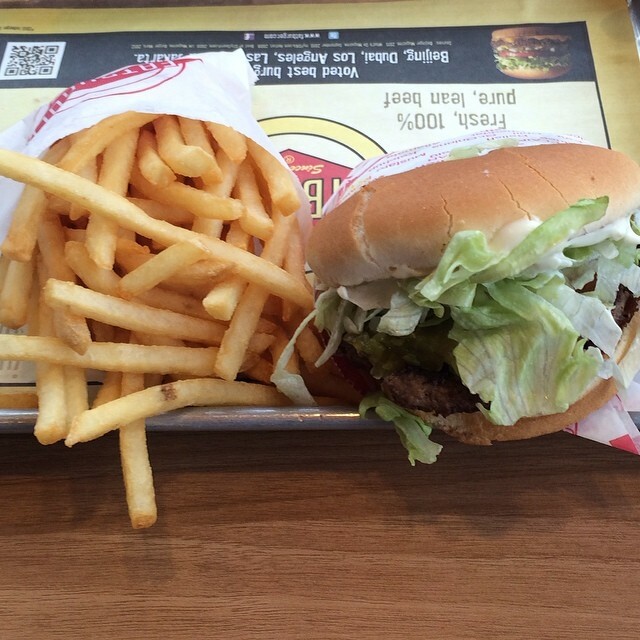 Like Fatburger. Boy, do they love Fatburger. Exactly why, I don't really know. That whole «this is what's wrong with America!» phrase might be overused, but, to me, Fatburger is what's wrong with America, at least as far as food goes. Here you don't pick your burger by style, you pick it by weight. The largest burger weighs in at a pound and a half. I kid you not. 1,850-2,050 calories -- that's more than what an average person should eat throughout the whole day. And it's not like the burgers are worthwhile either. Granted, I wussed out and went with a medium burger -- 1/3 lb -- so maybe I missed out on something truly magical, though I kinda doubt it. There is very little to really get here. The meat? Flavorless. I cannot tell you what animal it came from, or if it indeed did come from an animal. With the amount of (what should have been unnecessary) stash thrown on top of it, you really can't taste the patties. If I was to draw a comparison, I'd call this a glorified Burger King sandwich. Minus the glory. It also doesn't help that the prices are kind of ridiculous. Buy a meal, and you're within Santé territory. You'd probably be better off going with a burger from them instead. So, I don't know what to believe anymore. I'm fairly certain I've seen literally hundreds of Fatburger tweets from a handful of Social Media Gurus. Were they wrong? Or does the problem lie with me? Go find out for yourself. I'm just a mess of confusion right now, anyway. Vote for Fatburger: It’s your civic duty!